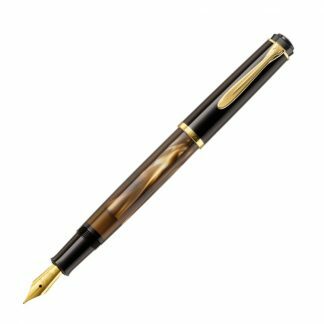 The Pelikan Classic M200 Black – Green Marble with gold plated accessories is a special pen featuring a unique barrel design and green color to complement the Edelstein Jade Fountain Pen ink. 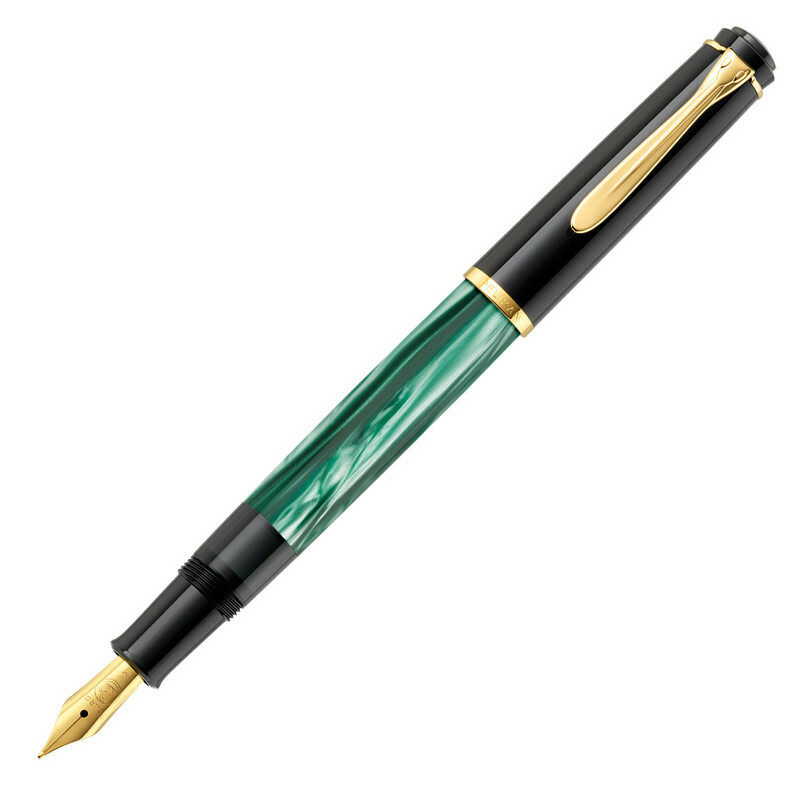 The Pelikan Classic M200 Black – Green Marble is a special pen featuring a unique barrel design and green color to complement the Edelstein Jade Fountain Pen ink. The nib is made out stainless steel and is plated (along with the accessories) with 24k gold. The piston filling mechanism also allows for a greater ink capacity making it superior to the cartridge/converter system in this regard.